I started cooking and helping out in the kitchen again – small steps but it’s happening. I was cutting open some bagels on Friday morning and sliced my finger. Kids lost their lid. LOST. THEIR. LID. After I calmed them down, I got myself a bandaid. 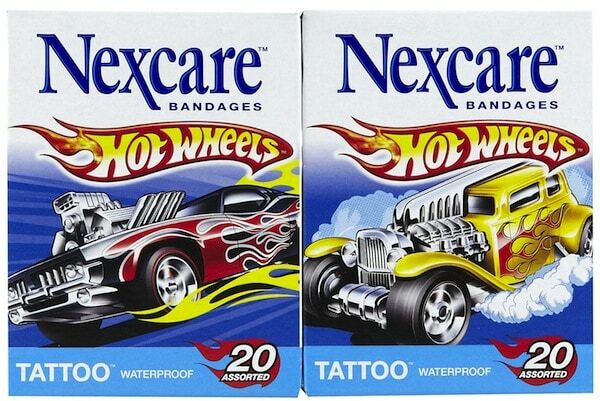 We had Waterproof Spiderman ones from Nexcare. I thought it would be cute to use one of Liam’s bandaids – so I did. I am SHOCKED to say that after three days of bathing, washing dishes, cleaning my hands, taking care of the kids and living day to day… this puppy has STAYED ON. Just like I put it on for the very first time. It’s crazy. I’m so used to having to change my bandaids after each shower or hand scrubbing. They just fall right off. Not Nexcare!!!!! I’m a converted woman people. Previous Post: « My Boy Needs Eyeglasses!